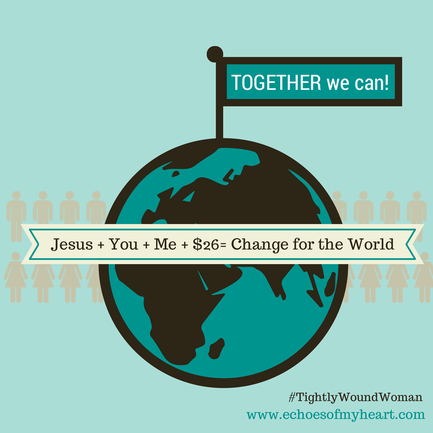 Remember this declaration from our #TightlyWoundWoman creed? This world needs strong women who get wound up about the things that matter. Let’s stop competing with the Holy Spirit and start cooperating with Him- we just might change the world. Let’s rally together as we follow Jesus’ lead- He’s the One who has already changed the world. Today we have an incredible opportunity to get wound up about things that matter. Will you join me, and the 461 women all over this web who are making a difference today? 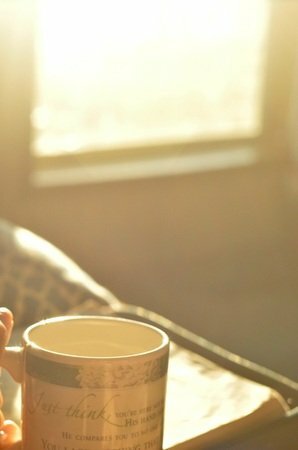 As I poured my cup of Pumpkin Spice Rooibos tea this morning, I smiled thinking about my South African friend Lisa-Jo. She is sending out the call today for 461 strong women to stand up and give $25 to build a Community Center for orphans. I am asking you to round it up to $26 since that is what we do around here. :) While we sip our tea let’s till the soil of hope for the 461 who need a kitchen, a cafeteria, bathrooms and conference rooms. We make some clicks from the couch and they feel the ground move and shift into a tangible place of shelter and sustenance. What an opportunity we have to give small so we can impact big. TOGETHER we can! And isn’t giving small really giving big? Like the widow who sacrificed by giving a little, which really was a lot; a big extravagant gift that is an example to the world, even today. Let’s watch and pray and cheer each other on as we rally together and follow Jesus’ lead- of caring for the orphans and the poor. As we put our dollars and our change together, as a humble offering, we just might change the world! Would you share this post today? Let’s fill the web with this invitation to do this big thing for His glory!